The video depicts how to fit the Ultraflex HOPE. 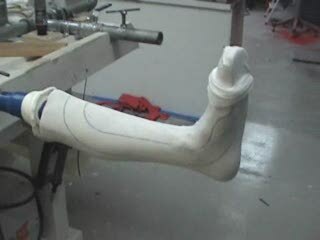 No more ripping apart the cover to adjust or repair the AK (above knee/transfemoral) prosthesis. Grace specializes in fully removable AK covers. 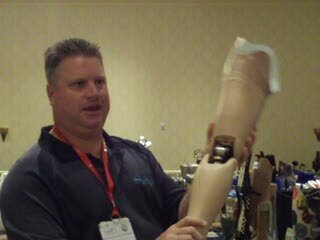 Tony Culver, Grace Prosthetics, gives a little insight on Grace Prosthetics custom above knee covers for prostheses. In this video we discuss a new approach and design for a FRAFO. We incorporate a rigid ankle and intimate fit for triplanar control. Our patient has a plantarflexion contacture, peroneal palsy, pes plano-valgus and forefoot abduction. This case is very similar to PTTD at an advanced stage. This is a new twist to an old design. 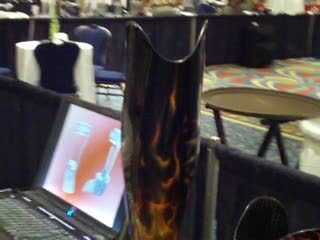 We have had remarkable success with this design on chronic, acute conditions with and without inflammation. Control and immobilization is the key. Our techs demonstate vacuum forming technique for our FRAFO design. Second part to our Turbo AFO Design. Interesting concept which has yielded outstanding results in our practice.